British Mediterranean fleet of seven men-of-war. Early the following morning we sailed into the harbour of Port Said and took our position amongst about seventy steamers, men-of-war, and other ships of various nations, to which afterwards twenty were added, or thereabouts. The ‘America’ had scarcely dropped her anchor ere it was announced that the Emperor of Austria was following us, a fact soon verified by hundreds of guns both in and out of the harbour. On that day the firing was continued at intervals, as Princes, Ambassadors, and other celebrities followed in rapid succession. But the quickest and most general firing was reserved for the arrival of the Empress of the French, on the morning of Tuesday, the 16t^1 of November, when enthusiasm reached its highest pitch, as the ‘Aigle’ steamed slowly into harbour, her Imperial Majesty most pleasantly acknowledging the universal demonstration. The serious business of the inauguration of the Canal commenced on that day, in the three kiosques erected for the occasion. It was my good fortune to get a position in the centre of the triangle of the kiosques, where I could easily observe every motion of the royal, noble and dignified assembly that occupied the central erection; whilst on my right was the Mahomedan stand, and on my left that of the Catholic Church, to both of which inaugural duties were assigned. The Mahomedan official read a paper, which no one could hear; but the Latins were gorgeously and powerfully represented by an array of richly attired priests, and one of the most clever of their orators, whose speech and benediction constituted the greatest event of the day. That oration has doubtless been published long ere this in the English papers, and it must be read as it was listened to with intense interest. Some thought it a little too flowery and flattering, and I noticed a slight shake of the head, and what appeared to be a little dissent on the lips of the French Empress at one of the personal allusions made to her Majesty. The only cheer was evoked by the mention of the name of Monsieur Lesseps, who bore his honours with marvellous modesty and gentleness. The clever Catholic priest must have been heard with strange feelings of interest by the Greek, Armenian, Coptic, and other patriarchs, bishops, and priests, that were crowded together on the two sides of the Imperial and Royal kiosque. At night an immense assemblage responded to an invitation of the Viceroy to a soiree and ball in his Royal Highness’s yacht, the story of which I leave to the pens of the newspaper correspondents and the pencils of the artists of the illustrated papers. Port Said was a-blaze with gas, oil, and candles at night; and many of the ships, to their mast heads, were covered with fantastically arranged lights and coloured fires. On Wednesday morning, the 17th Nov., the great test of the Canal was to be commenced, and at 8-30 a.m., the ‘Aigle’ steamed out of the harbour, other ships following at intervals of ten to fifteen minutes, until forty vessels were afloat. Our America’ being a very wide paddle steamer, was placed lower down in the list, being No. 36, and it was 2 p.m. ere we passed the columns at the entrance to the Canal. It was impossible for all to get into Lake Timsah, the great bay of Ismailia, that night, and we were moored to the banks of the Canal, a few miles from the lake. Early the following morning the last half-dozen miles of the first half of the voyage were accomplished, and we were stationed opposite to the new town of Ismailia a town which owes its entire existence to the construction of the Canal. Ten years ago there was not a human habitation where this beautifully laid-out town now stands, and the great lake where hundreds of ships may now find anchorage was then a swamp, subject to the annual overflow of the Nile. Little more than a year ago, I think it was, that the Prince of Wales opened the sluice which let in the waters of the Mediterranean, and converted this fresh-water marsh into an inland sea of salt water, and to this point traffic by small steamers has since been regularly conducted. From here, too, a fresh-water canal, fed by the Nile, has been temporarily used for the navigation of small craft to the Red Sea. Ismailia is much more eligible for a great town than Port Said, and its arrangement in squares and broad streets, at right-angles, indicates the importance attached to the site by its founders. Here the Khedive has built a large palace, M. Lesseps has erected a capacious and beautiful residence, good hotels have been opened, and there is collected a considerable resident population. The town is also situated at an angle of the railways to Alexandria, Cairo and Suez. Trees and graceful foliage and flowers grow profusely, and the Desert bears a smiling appearance. The festive arrangements here were conducted on a scale of the utmost prodigality. Large temporary saloons were erected, where thousands dined and took other refreshments at the expense of the Viceroy; champagne and other costly wines flowed like water; thousands met at the palace of the Khedive to dance, talk and sup together; a wild military exhibition of Arabs and Bedouins was arranged for the gratification of the visitors; fireworks and illuminations closed the night, and thousands slept in tents specially provided for the occasion. Where the tents, the bedsteads and bedding came from, it is difficult to conceive. It took several days, and various special trains, to clear away the fittings and furniture temporarily provided. On Friday, the 19th, the Empress’s boat, the ‘Aigle’, again headed the steamboat procession; but amongst the early departures were one or two very large steamers, and the ‘Peluce’ of the Messageries Imperiales ran aground at the entrance of the Canal. This caused a detention of several hours, and at least half the fleet spent another night in the Lake Timsah. It was half-past one on Saturday ere we could make a fair start, and then after a splendid run over the Lake Amers, sometimes at the rate of nine to ten knots an hour, we were again blockaded by steamers in advance; and after running aground ourselves we were again compelled to halt for the night, within sight of the lights of Suez, and it was nearly mid-day on Sunday when the line was cleared for us to enter the Red Sea. Two or three ships followed us, and by Sunday afternoon over forty ships accomplished the entire voyage from sea to sea, and the passage of the Canal was an accomplished fact a fact of immense importance, notwithstanding all the accidents incidental to the voyage. Before the ‘America’ had reached her anchorage, many of the ships had been deserted by their passengers, who had hurried off by railway to Cairo, to see the last but one of the series of popular demonstrations. For myself it was pleasant to repose in the quiet roadstead of the historical waters of the Red Sea, at a point evidently not very far from that spot where the persecuted Israelites rested from the pursuit of their oppressors. Whatever may be the inability of scepticism to grasp the simple statements of Bible truth touching that great event, here was just the physical formation of mountain and plain suggested by the perusal of the sacred narrative, and I felt a pleasant satisfaction in gazing upon a spot so famous in Bible history. 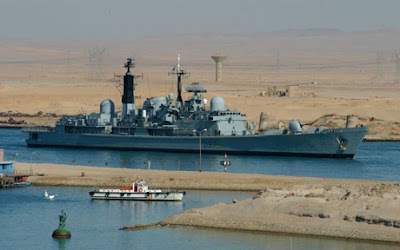 Of the Suez Canal there seems now to be but one opinion. Its practicability none can now dispute. The two seas are already united; Africa is converted into an island by a combination of Mediterranean and Red Sea waters.